I have found Etsy to be a valuable resource when I want small quantities of fabric, especially for fabrics that are no longer in stock in the online quilt shops that I frequently purchase from such as Hawthorne Threads, Pink Castle Fabrics, Fat Quarter Shop, and Sew Modern. 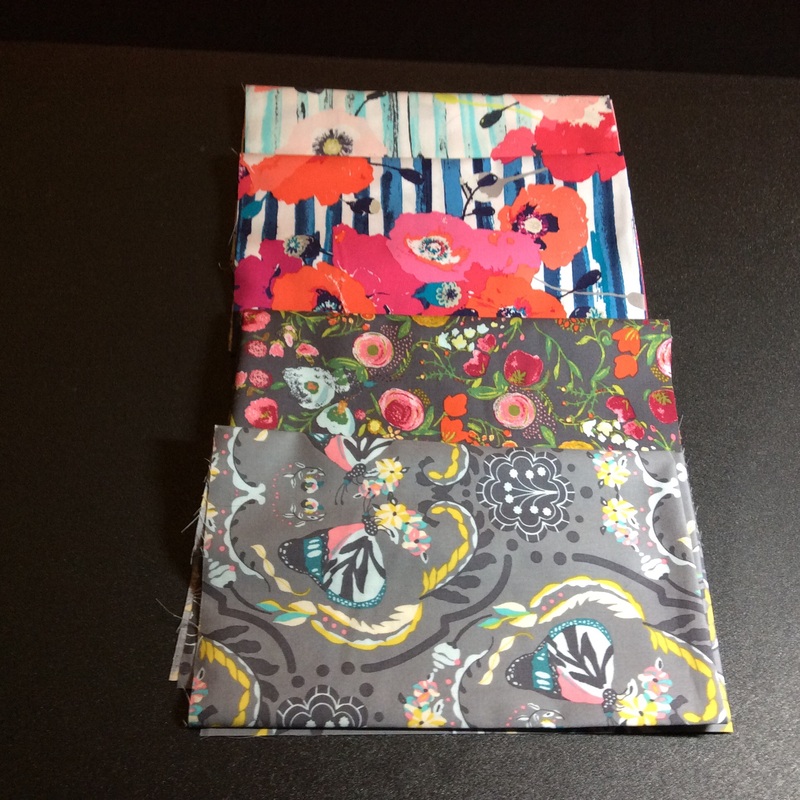 On Fridays, ModernLoveFabrics often has wonderful sales. Follow them on Instagram and be sure to check on Fridays to see if they have a special deal going. Two Fridays ago, I purchased some half-yards ($4.40 ea) and fat quarters ($2.95 ea) of some fabrics I hadn’t purchased before by Art Gallery Fabrics from the Emmy Grace and Skopelos collections (see pic above), and used a coupon code to add a free fat quarter because I had purchased over $20 worth of fabric. This past Friday was the best sale ever. I bought 12 fat quarters for $20! I discovered Sew Me a Song on Etsy on Terri Ann’s Childlike Fascination blog. I initially treated myself to their Rainbow Text bundle and have since made several purchases, and today when I checked their website “just for the link,” I couldn’t help ordering a fat 16th bundle from them entitled, Never be at a Loss for Words. I think these little 9″x 11″pieces of text fabric will be perfect for mug rug Christmas presents for my book group and a few work colleagues. So many of my non-quilter friends are most drawn to the text fabrics I’ve been using in recent projects. Last but certainly not least, I want to mention the Etsy shop, HipStitchAbq. I have shopped at their store in Albuquerque several times, but sometimes I don’t want to drive the two hours to their store, so I also shop at their Etsy shop. They are so fast. 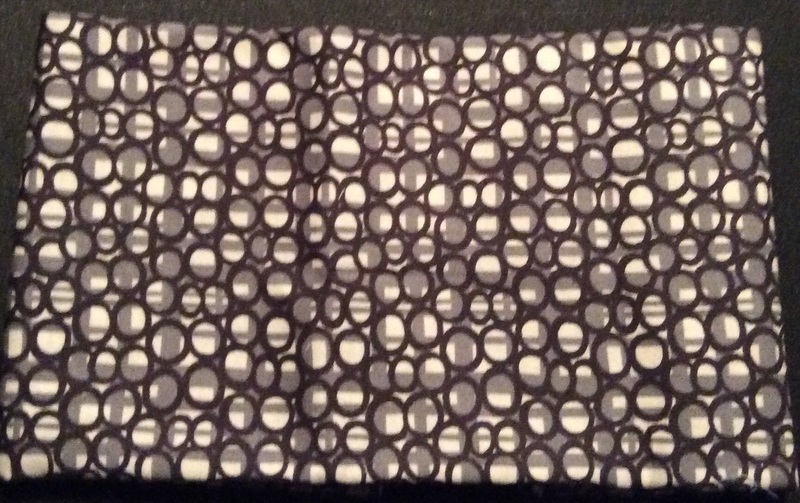 Last month I needed more of Jen Kingwell’s Gardenvale Black Swan fabric (see above). I ordered it from their Etsy shop on a Friday, and it was in my mail box the next day with just USPS shipping. Linking up to Molli Sparkles Sunday Stash. Wow! Look at you all over the web!! Now, how am I going to surprise you with fabric!? Jackie, you are extremely resourceful. 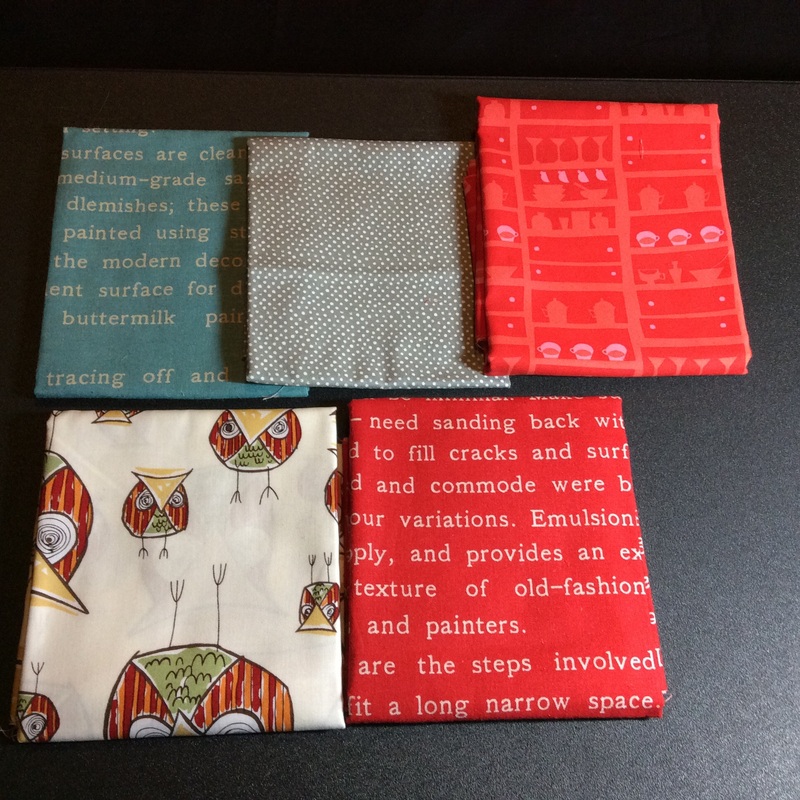 You find things on websites I go onto regularly that I’ve never seen before like the sushi fabric on Hawthorne Threads. Plus there is that one fabric website that you have forbidden me to purchase from, and I can’t even remember the name of it any more. Finally, I am only shopping from a few of the online modern fabric websites out there. There are plenty more, just sayin’! I figure I can explore websites in Timbuktu or ultra remote corners of the world to find you something new and unusual! Like you said, I am resourceful! !